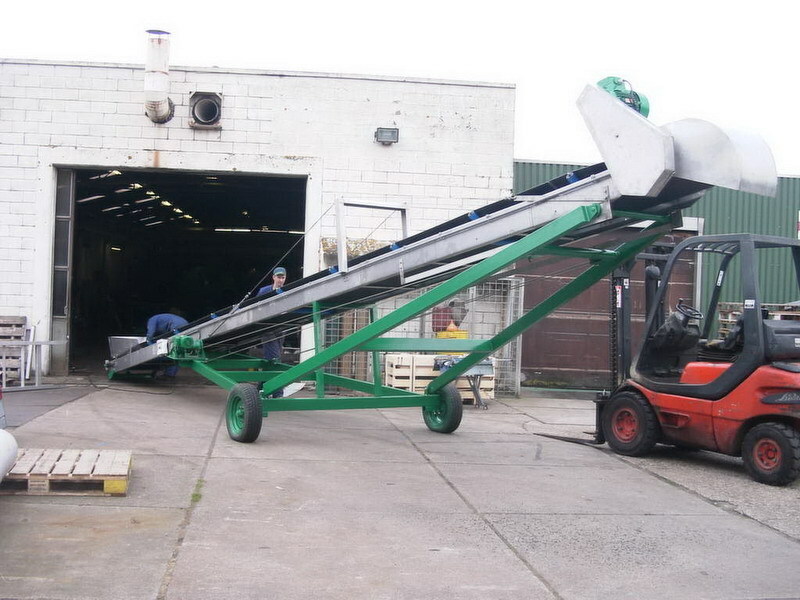 Transport conveyor to transport bulk materials. 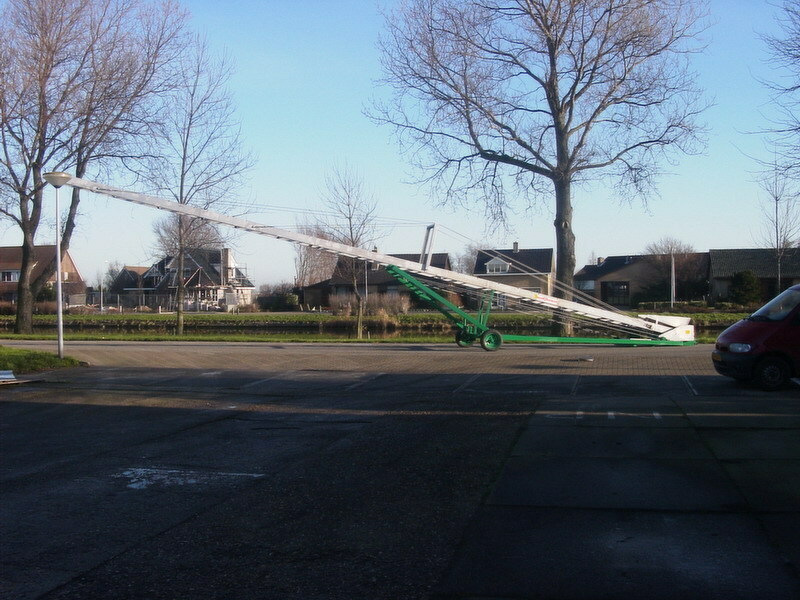 Capacity of 20 to 160 ton/m³ per hour. Fixed or portable setup possible. 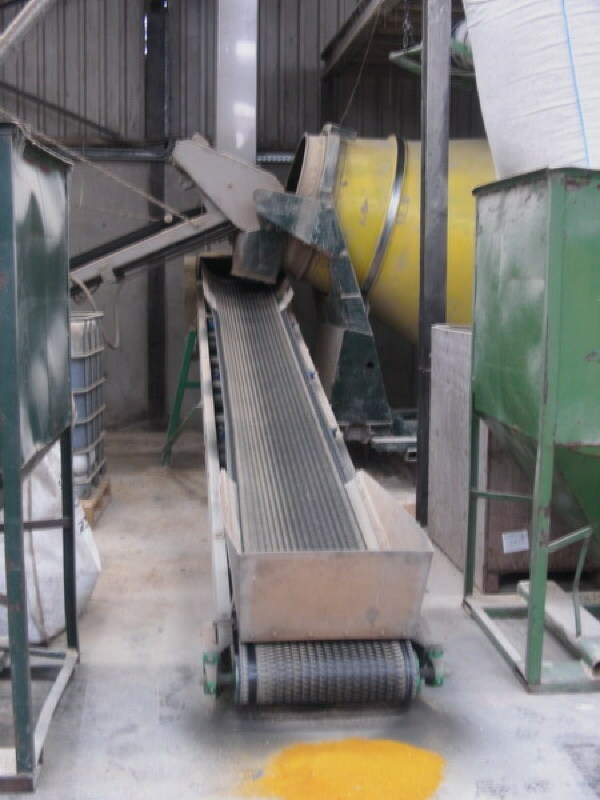 Suitable for grain, powder or fertilizer products. 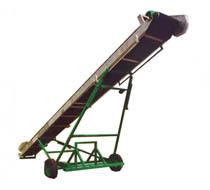 The transport conveyor transports powder and granular materials. 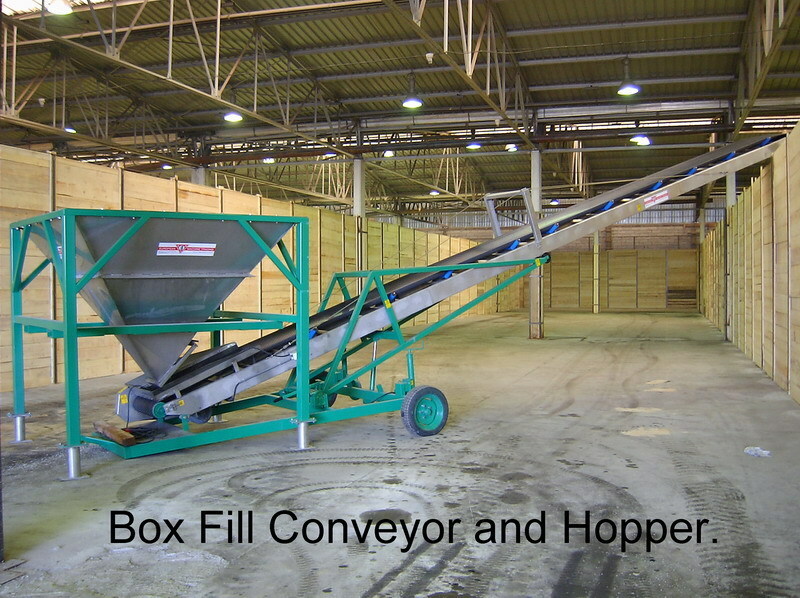 The material is discharged into the hopper of the conveyor. 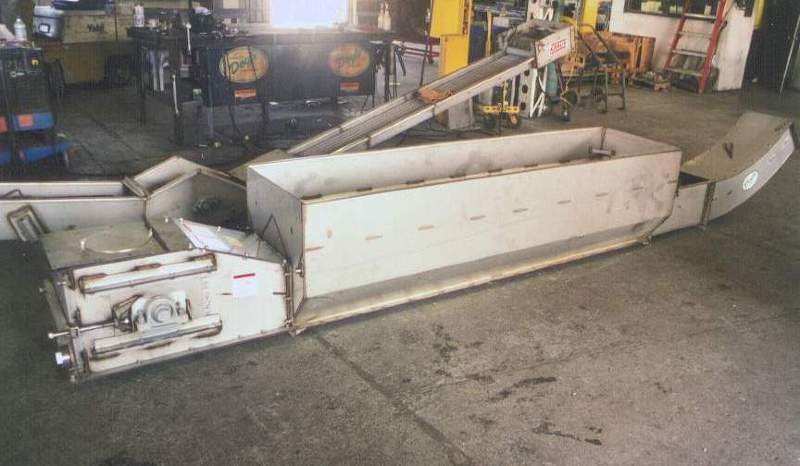 This intake hopper has rubber-closing plates to reduce material loss. 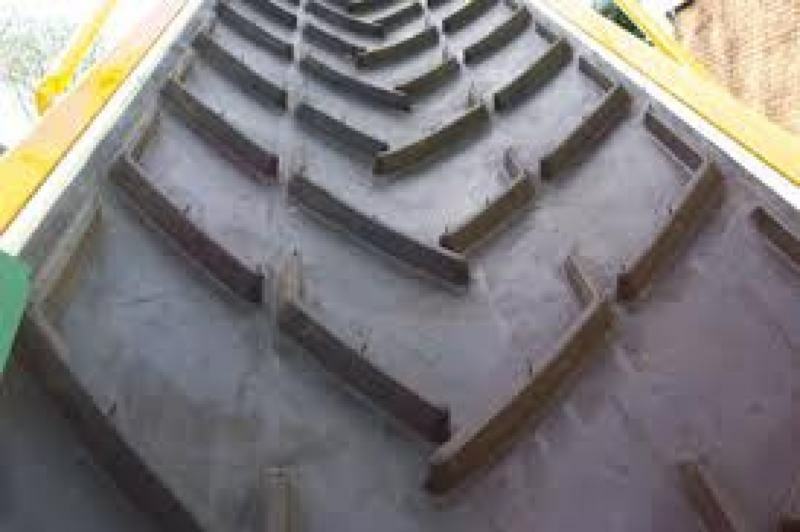 When worn out, these plates can easily be removed. 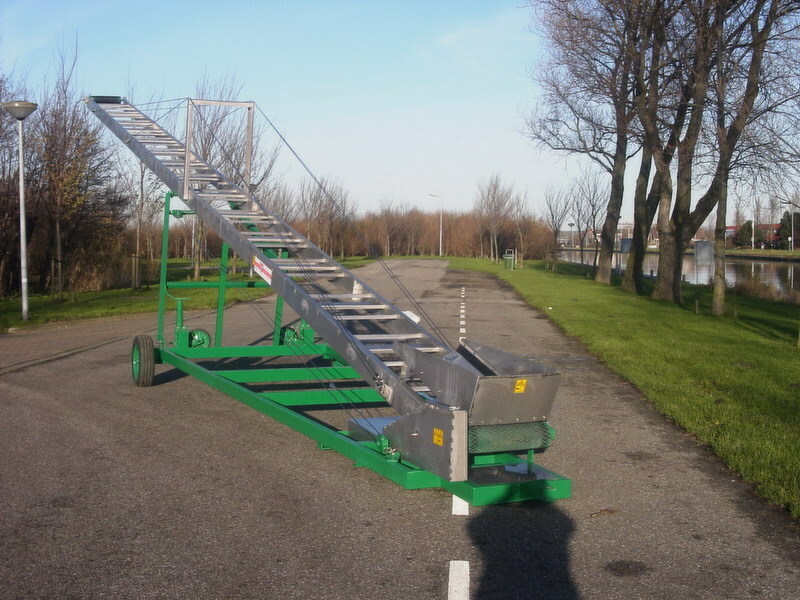 The conveyor is built up of chopped stainless steel U-profiles. 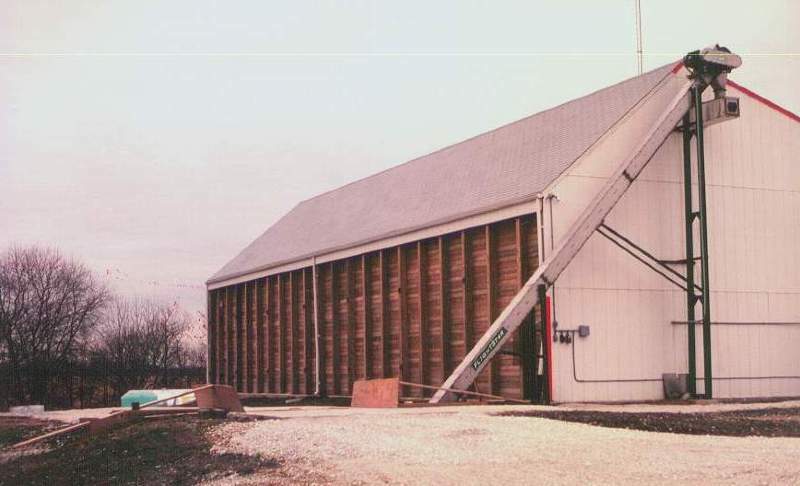 The frame exists of sections that are bolted together. Cross bracings strengthen the frame. 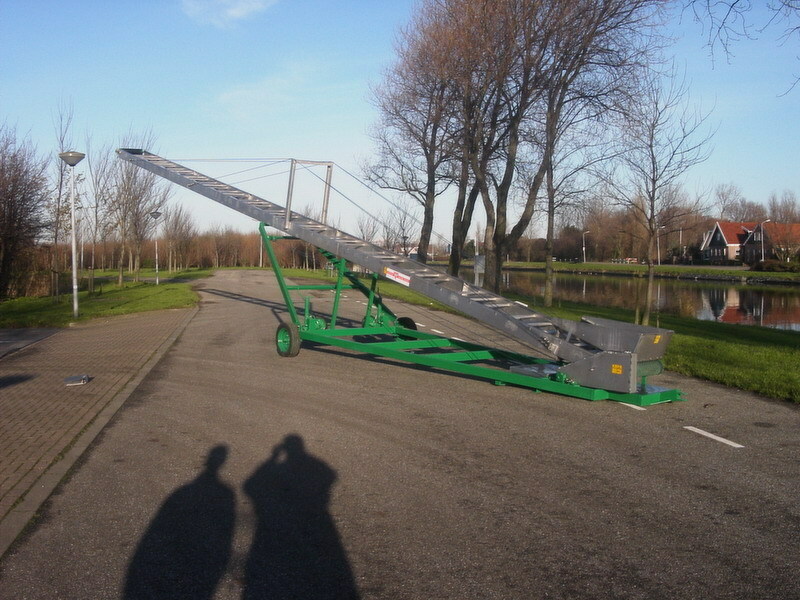 The halve moon PVC belt has small anti return roll bridges and is oil and chemical resistant. 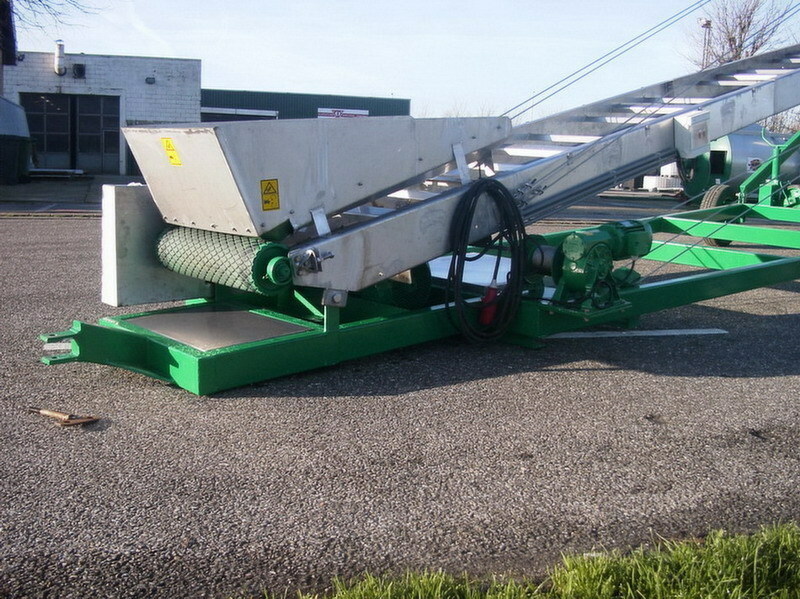 The conveyor belt rolls on stainless steel rollers and it stays in place due to nails. 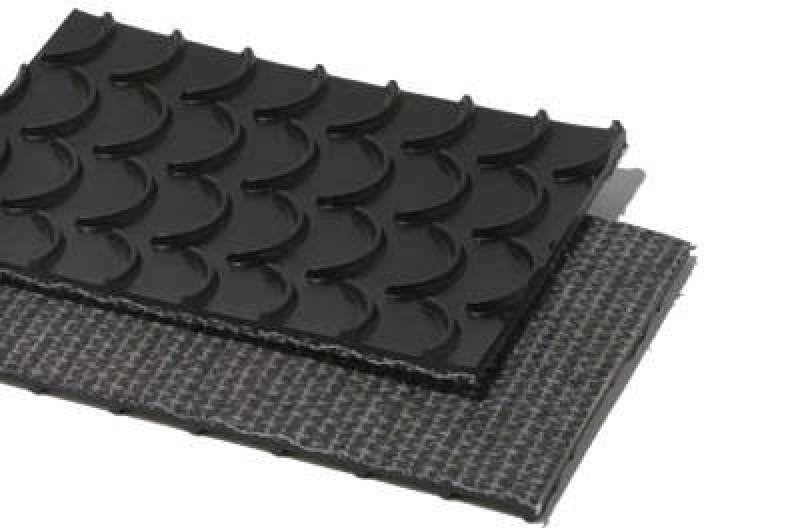 The Tri-Rollers at the upper part of the conveyor frame consists of 3 sections; 1 middle roller and 2 side rollers, this gives the belt a V-shape. 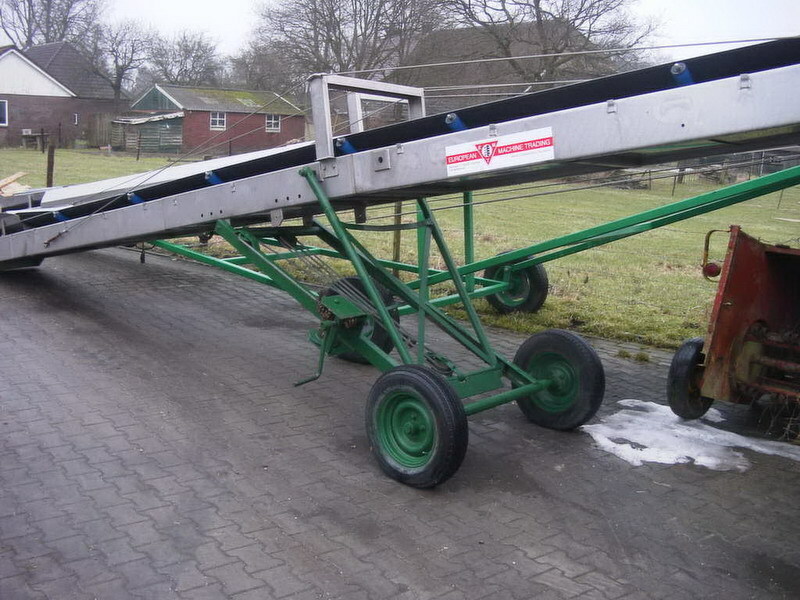 The rollers are bolted to the conveyor frame. 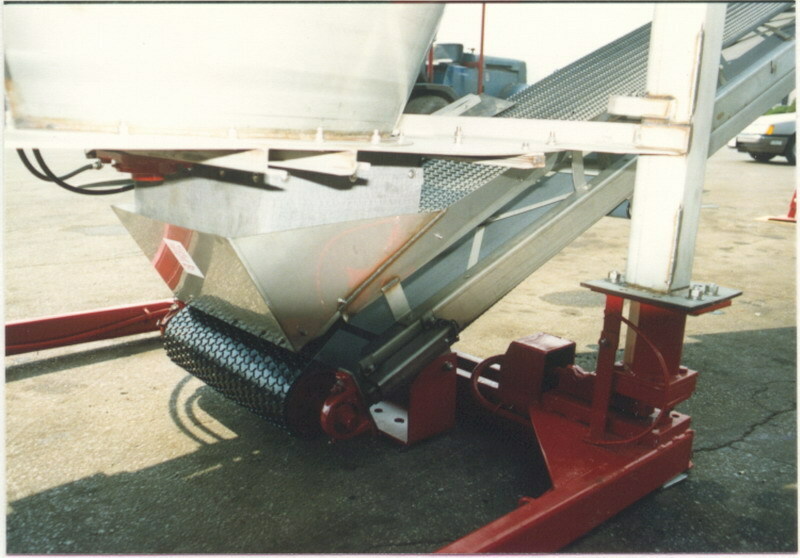 A drive roller with antiskid rubber covered rollers drives the conveyor belt. 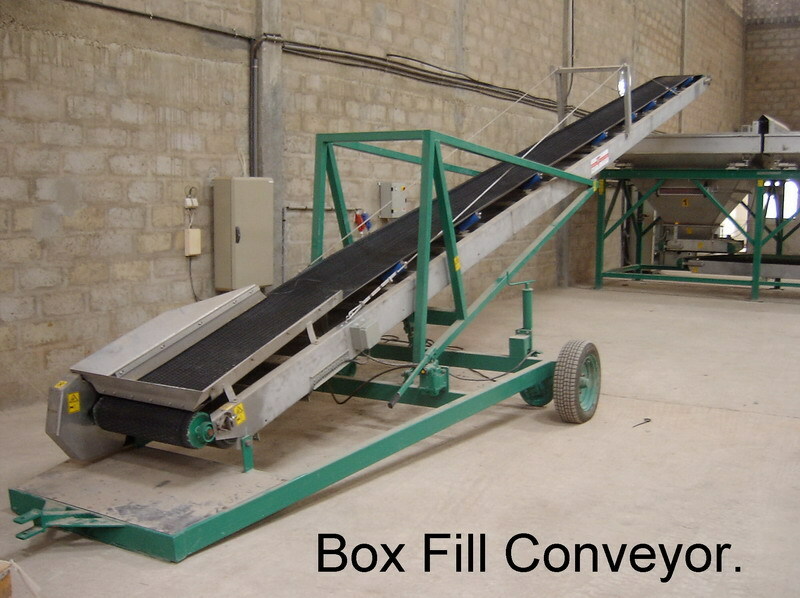 This ensures that the conveyor belt is always centered. 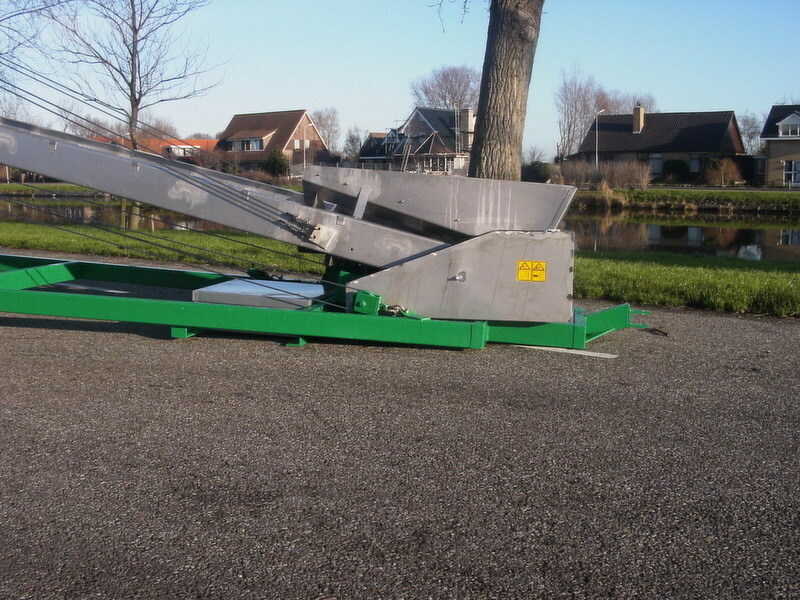 A motor with V-Belts transmission drives the drive roller. 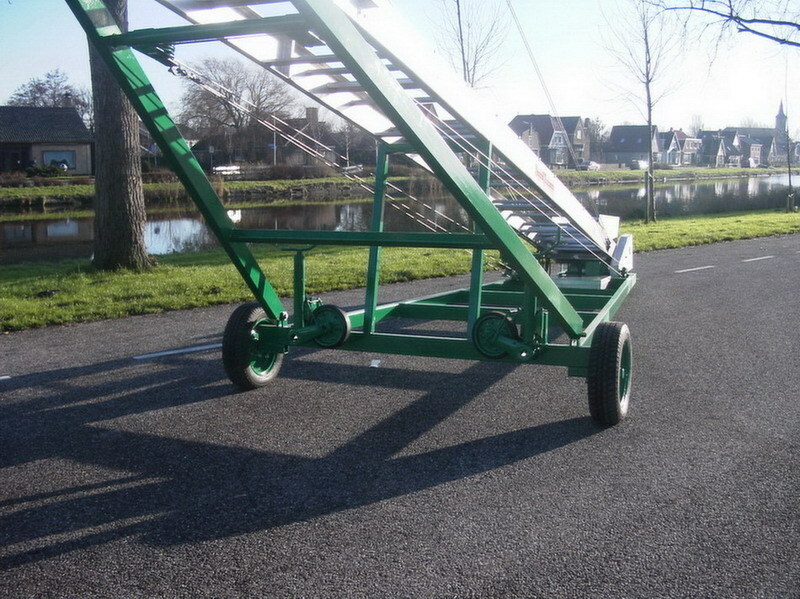 The return roller is mounted on two bearings, one on each side and is adjustable with a stretcher at two sides. 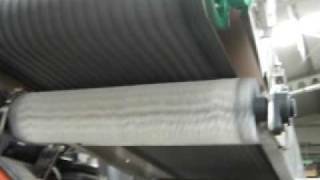 This makes it possible to regulate the tension of the conveyor belt. 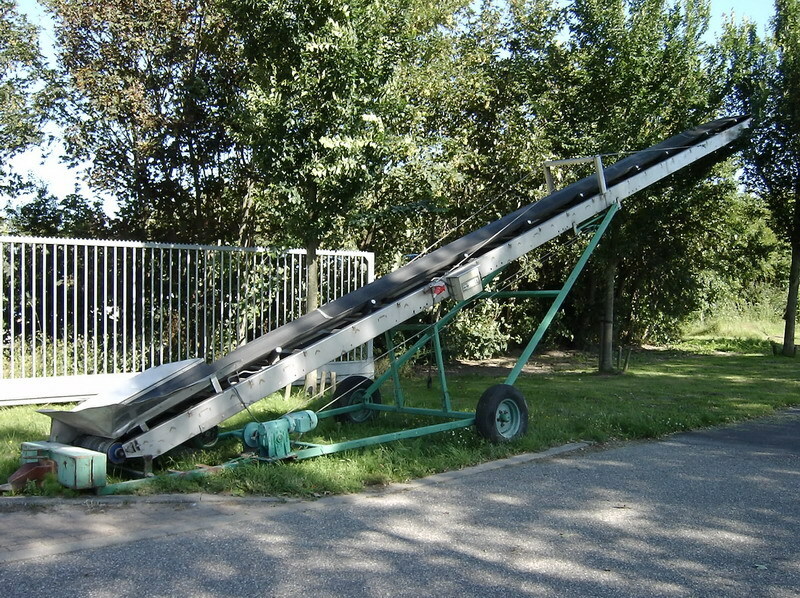 A stainless steel chute at the end of the conveyor discharges material downwards. 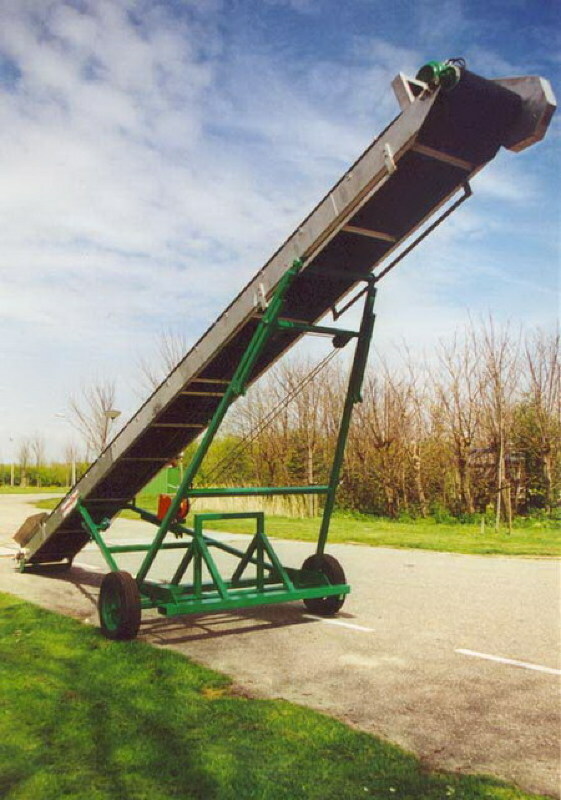 The transport conveyor has a capacity of 160 ton/m³ per hour. 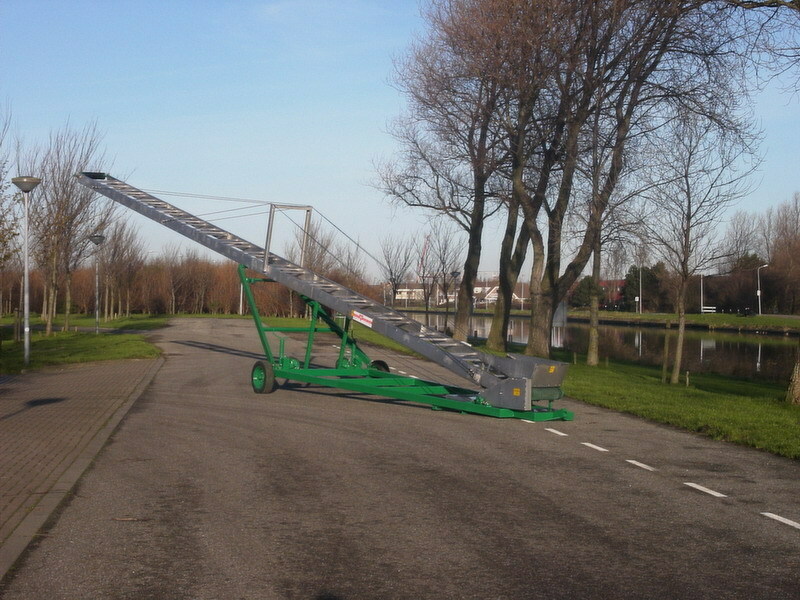 The Rotating Bush is specially built to work under the head roller of the conveyor. 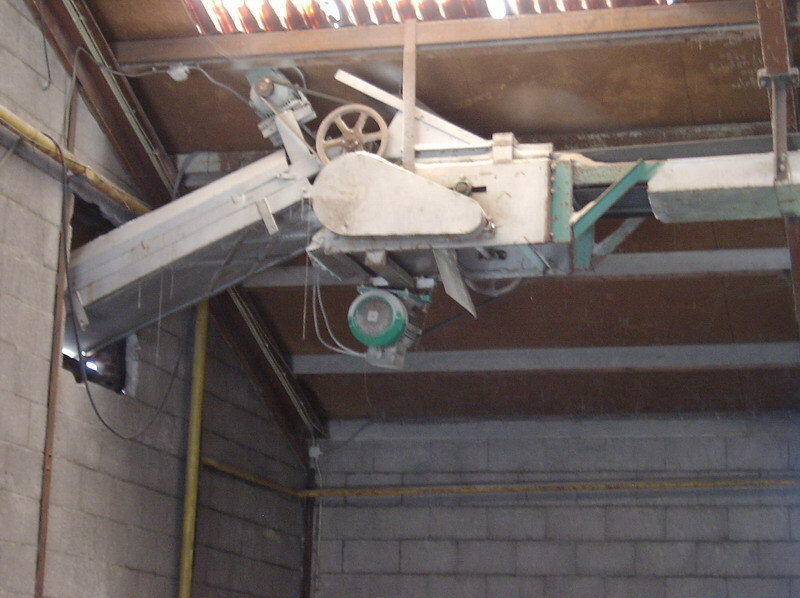 The brush is powered off of the head roller, and rotates counter to it. Material or dust that the belt would normally carry back is “cleaned” off of the belt by the brush. 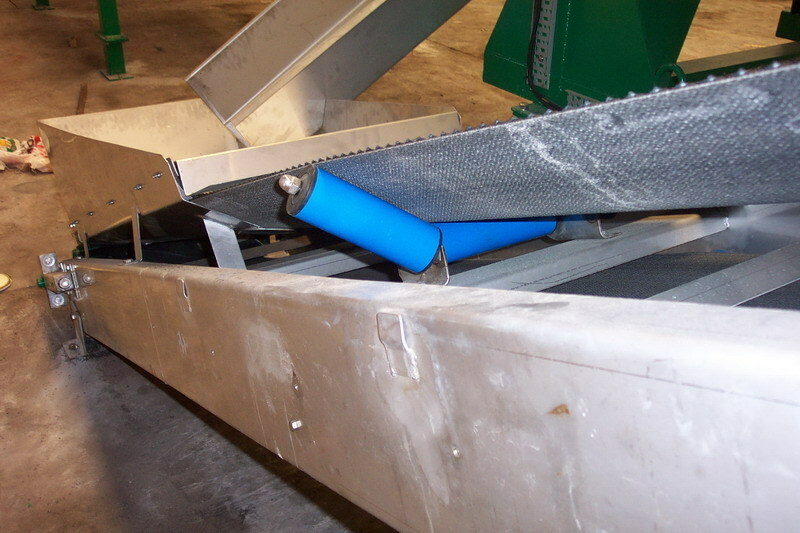 As an additional means for eliminating product spillage, it is possible to mount a sealed cover to the underside of the conveyor. 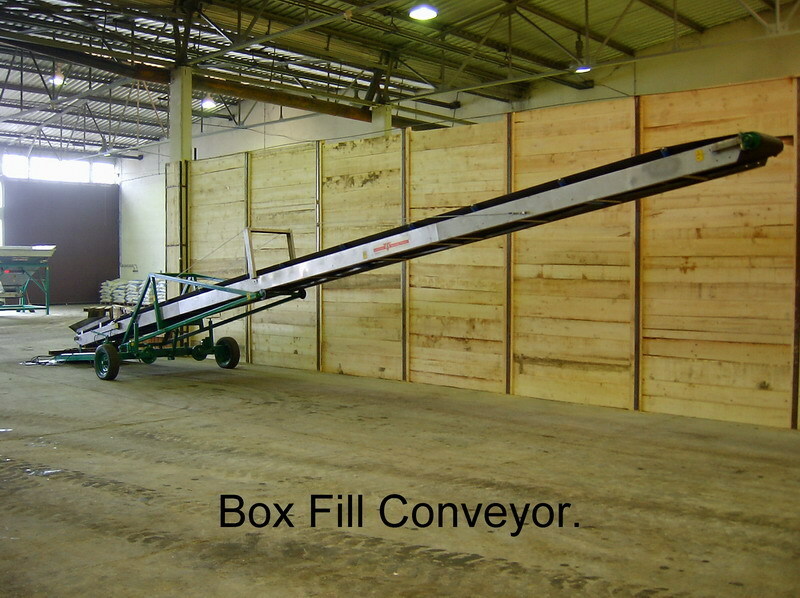 This results in a completely self contained conveyor, providing economical compliance with environmental regulations. 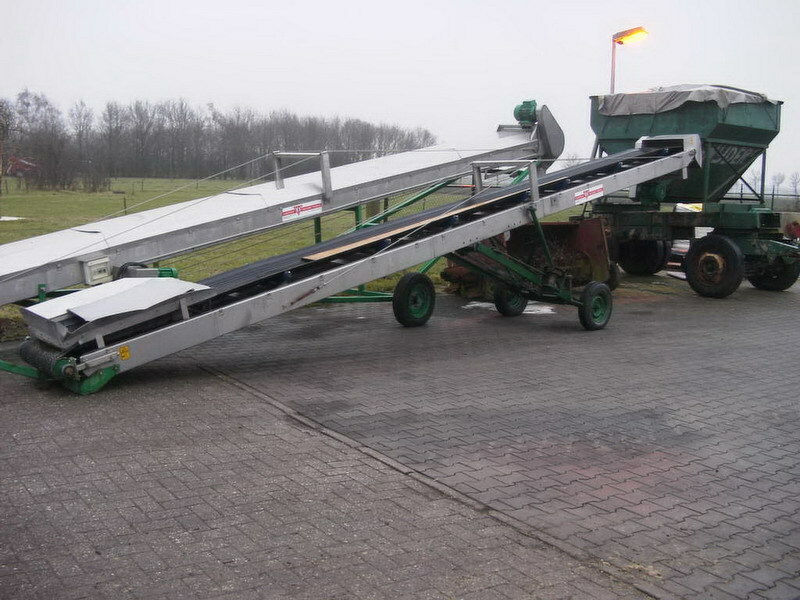 This conveyor will provide a cleaner work place, reduce costly fertilizer loss. And speed up your operations.